Hyde Cricket and Squash Club's squash 1st team started the new season in fine style with a 5-0 white wash of Grove Park. Making their debuts for Hyde were Miles Jenkins playing at 2 and the current British Under 17s champion, Kyle Finch playing at 1. Josh Taylor, Steve Gregory and Carlton Oldham continued from last season playing at 3,4 and 5 respectively. Whilst for Grove Park there were no new players from last season but they did boast the world number 68 Ritchie Fallows playing at 1. Getting the night, and the season under way, were the number 5 seeds, Oscar Beech for Grove Park and Carlton Oldham for Hyde. Oscar and Carlton have along history having played each other throughout their junior careers and in recent history Oscar has the better record in the head to head but on this occasion it was Carlton who came out on top as he managed to keep his cool in a very close game eventually winning 3-2 and gave Hyde the best possible start. Hyde soon found themselves 2-0 up as Steve Gregory beat Rahul Bansal 3-0. In what was in the main a straight forward win, Steve had to show all of his vast experience in the second set to hold of a spirited come back from the Grove Park man as Rahul fought back from 10-3 down to get to 10-8 before Steve eventually closed the set out. The number 3 seeds took to the court next with Grove Park' Yawar Abbas needing to win to keep the match alive, but Hyde's Josh Taylor had other ideas. 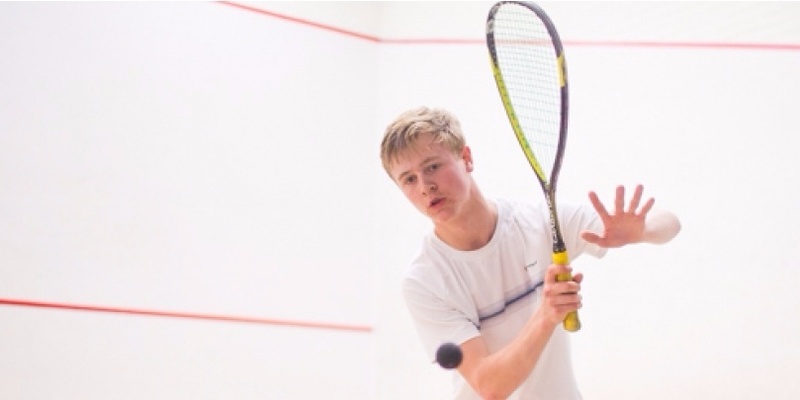 After narrowly winning a fast paced first set Josh settled down to play accurate squash and run Yawar all round the court taking the next two sets without too much trouble so taking the match 3-0 and giving Hyde an unassailable 3-0 lead. the first of Hyde's debutants was on next, with their number one Kyle Finch playing Grove's Ritchie Fallows. The first game went Grove's way with Ritchie taking an early lead in the set as Kyle found his feet. As Kyle settled down his confidence grew and he gave Ritchie much more problems in the second set and took 9-11. The third set was equally as tight and the telling moment came towards the end of it Ritchie pulled a muscle and had to take an injury time out. Ritchie never looked comfortable after that and Kyle took full advantage to win 3-1. Last on was the other of Hyde's new boys, Miles Jenkins who was up against Alex Cutts. Miles was looking to cap the night of for Hyde and give them a 5-0 win whilst Alex was looking for a consolation win for Grove. It was the Hyde player that took control of the match though after a nervy start and Miles never looked back to win 3-0 in some style and comfort. A great start to the season with a 5-0 win on the road and maximum points gained. Next week sees them at home against a strong Alderley Edge side. Games start at 7:30pm and all support is welcome.